Free Heating.......Provide heat even there is a power outage during winter. 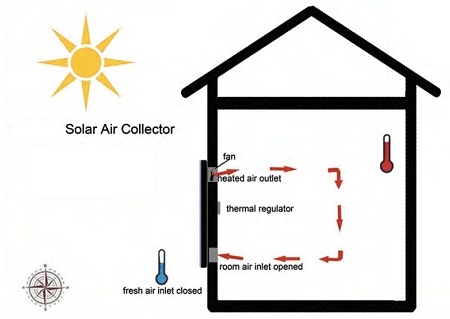 Solar air heater operates by taking in air from the room and through a special construction inside the panel. The air is heated by the sun several times absorb the heat energy and then delivered back into the room. 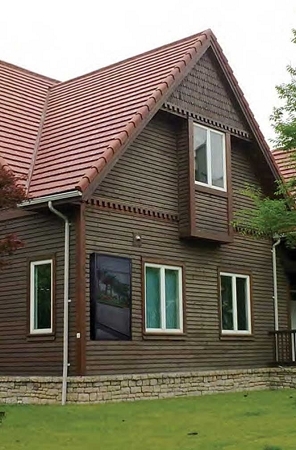 The heated air is blown into the house by a fan powered by the built-in solar panel. The solar air heater is temperature controlled so the fan turns off when a pre-set temperature is reached. It helps to offset the heating cost up to 50%. Easy installation and maintenance free make it one of the most attractive methods for providing heat in the winter. · Free heating, lower heating cost, decrease your heating bill significantly. · Standalone heating system – with integrated solar panel, there is no need to connect any external power to the fan. · Maintenance free, system life more than 15 years. · Temperature control – comes with thermostat to set the temperature. · Environmental friendly, no pollution. · High efficiency and maintenance free – as an independent system, there is no need to connect an existing heating or electrical network. It can work continuously during the day. · Safety – no household electricity required, no heating fuel, less chance of fire. 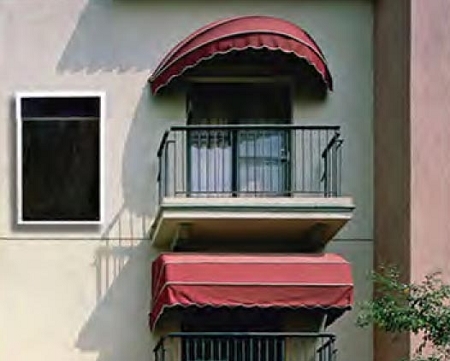 · Fresh air – can choose fresh air from outside or air circulation within the room. · Reduced work load on the conventional heating system which lower the heating and maintenance cost.